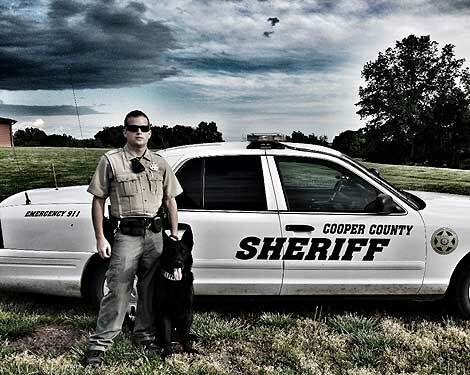 The Cooper County Sheriff's Office K9 Unit was recently added in 2015. 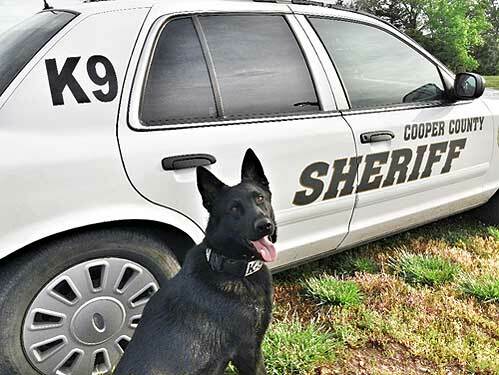 The K9 Unit is the first in the nearly 200 year history of the Cooper County Sheriff's Office. K9 Grimm is a 2 year old German Shepherd selected from Shallow Creek Kennels in Pennsylvania and brought to the United States from Holland. K9 Grimm and his Handler, Deputy Jordan Shikles completed a 9-week K9 Academy at the Boone County Sheriff's Department. Grimm is certified in Utility Patrol and Narcotics through the North American Police Working Dog Association and the Missouri Police Canine Association. Grimm is trained in: Narcotics, Handler Protection, Tracking, Area Search, Article Search, and Building Search.